President Viktor Yanukovych’s foreign and security policy is controlled by Russia and coordinated with Moscow. The same conclusion is already appearing among European elites after seeing first-hand how Ukrainian foreign policy personnel work closely with Russia. Russian influence in Ukraine’s foreign policy is evident in two areas. The first is coordination between the Ukrainian delegation headed by the Romanian and Party of Regions deputy, Ivan Popecku, and the Russian delegation at the Parliamentary Assembly of the Council of Europe (PACE) that sought to moderate criticism of the October 5 resolution. A detailed analysis of backroom negotiations described the Russian delegation as “the Big Brother of the Party of Regions” (Ukrayinska Pravda, October 6). Russian support for the Ukrainian authorities on the PACE monitoring committee only served to increase the determination of the Estonian PACE co-rapporteur for the monitoring of Ukraine, Mailis Reps, to include tough criticism of the Ukrainian authorities. Russian and Ukrainian delegations repeatedly blamed the “Orange” authorities for alleged democratic infringements and repression of Russian speakers. “Yushchenko was a pseudo-democrat!” Russian Duma deputy Dmitriy Viatkin said, a comment followed by similar remarks by Russian Communist leader Gennadiy Zyuganov and the Russian political technologist, Sergei Markov (Ukrayinska Pravda, October 6). Additional evidence of Russian influence on Ukrainian foreign and security policy emerged in the annual Yalta European Strategy (YES) summit headed by oligarch, Viktor Pinchuk (http://yes-ukraine.org/). 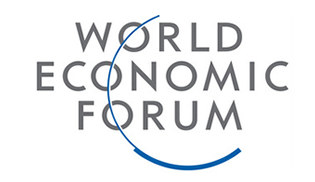 This year’s summit on September 30-October 3 was the first occasion where Russia sent a high powered delegation from its political and business elites, including Deputy Prime Minister, Alexei Kudrin. The delegation included the ideologue of “Russian modernization,” Viktor Vekselberg, a strategy that is appealing to Yanukovych’s administration. (www.mg.co.za/article/2006-11-10-who-is-viktor-vekselberg). In previous YES summits, the Russian delegation included only “a few experts and marginalized politicians,” one Ukrainian expert wrote in the Ukrayinska Pravda blog (October 4). One EU politician attending the summit said “Now maybe Russians will be taking care of Ukraine’s European integration.” Although said in jest, the diplomat was actually pointing to a new reality: Moscow’s determination to influence and keep the pulse of Ukraine’s European integration outside the CIS. Yanukovych acceded to Russia’s demand to end Ukraine’s aim of joining NATO and Moscow is now seeking to halt or slow down Ukraine’s integration into the EU. As one Russian participant confided: “They can still play a little with their European integration but sooner or later they will return to the (CIS) Customs Union” (Ukrayinska Pravda, October 4). Yanukovych did not displease his Russian guests, as during his speech he never once mentioned Ukraine’s desire to join the EU. Instead, he said that Ukraine “will choose the speed, form and methods of integration that conform to its national interests” (Ukrayinska Pravda, October 4). Yanukovych is the first of four Ukrainian presidents to avoid supporting efforts to join NATO or to publicly endorse joining the EU. 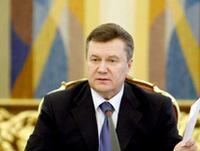 Yanukovych has repeatedly ignored requests by the G7 Ambassadors for a meeting in Kyiv (Ukrayinska Pravda, October 11). These developments, coupled with the rollback of democracy in Ukraine (EDM, October 13), are being seen by Kyiv’s lack of interest in joining the EU, according to Elmar Brok, a member of the European Parliament’s Committee on Foreign Affairs (Kyiv Post, October 4). On the eve of Yanukovych’s visit to France, French experts reached similar conclusions (Ukrayinska Pravda, October 6, Politychna Dumka, October 8). Russian influence on Ukraine’s security policy is evident in three areas. The first, and most obvious, is through the Ukrainian Security Service (SBU) Chairman, Valeriy Khoroshkovsky, who over the course of only eight months has undermined Ukraine’s international image as well as domestic and international trust in Yanukovych’s commitment to democracy. The PACE resolution condemned the use of the SBU for political ends, a criticism which was not included for “technical reasons” on the report broadcast on Inter, Ukraine’s most popular television channel (owned by Khoroshkovsky). In addition, Viacheslav Zanevskyi, the head of Yanukovych’s presidential guard, is a Russian citizen, a scandal that was dismissed by presidential administration head, Serhiy Levochkin, as irrelevant (Ukrayinska Pravda, October 6, 9). Zanevskyi was hired in the summer of 2008 because the then opposition leader Yanukovych did not trust the SBU or the Directorate on State Protection [UDO], the former ninth directorate of the Soviet KGB. This is an outcome of Yanukovych’s pathological fear of being assassinated (EDM, June 28). Zanevskyi’s unofficial title is “Head of the personal guard of the President,” but his official title is “non-resident presidential adviser.” It remains secret who is paying Zanevskyi’s salary and expenses as these cannot come from the state budget (Jamestown Foundation blog, October 13). Zanvskyi “is the eyes and ear who sees everything and hears everything” (Ukrayinska Pravda, October 6). Zanvskyi has access to Yanukovych’s itinerary, his personal life, state secrets and telephone conversations, and he is able to install monitoring devices wherever Yanukovych is located. It would be naïve to believe that this intelligence is not being transferred to Russia. In July, Dmitriy Salamatin, was appointed as head of the state-owned Ukrspetsexport, Ukraine’s arms exporting agency which has an annual turnover of $1 billion (www.ukrspecexport.com). Salamatin was born in Kazakhstan and worked in Russia from 1991 to 1997. Salamatin is the son-in-law of the former First Deputy Russian Prime Minister, Oleg Soskovets (Segodnya, July 14). Salamatin moved to Ukraine in 1999 and was elected to parliament in 2006 and 2007 in the Party of Regions. In the April 27 riot in parliament over the Sevastopol Black Sea Fleet base extension, Salamatin was seen fighting members of the opposition. During an August 11 altercation in Ukrspetsexport’s Kyiv offices he hit his opponent with a chair (Hazeta po-Ukrainski, August 15). These examples confirm that Moscow’s demand, as outlined in President Dmitry Medvedev’s August 2009 open letter to the then President, Viktor Yushchenko, to influence Yanukovych’s appointments of the siloviki has been over-fulfilled. These steps will increasingly prevent Ukraine from undertaking a sovereign foreign and security policy.